Scoil Mhuire, as we know it, is a continuation of what was the old Girls' School in Leixlip. This school was situated along with the old Boys' School on the Celbridge road, in the building which is now occupied by Scoil Uí Dhalaigh. 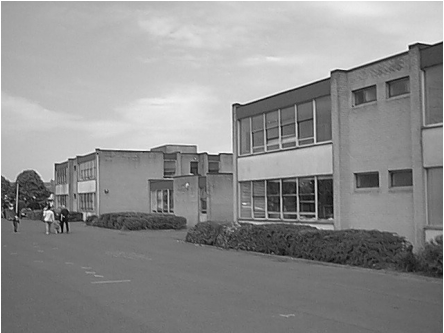 In the early 1970's with all the new building in Leixlip, the need arose to provide new schools to cater for the growing population. The first phase of the new Girls' School was opened on The Green Lane in September 1974. It consisted of eight classrooms, a library and an assembly hall. In 1976 the other eight classrooms were opened, along with the sixteen rooms of the new Boys' school. Within a few years both schools were full. This gave rise to a new school being opened in 1979 - Scoil Eoin Phóil. This school was located in the old buildings which had been vacated by the boys and girls, i.e. what was to become Scoil Uí Dhalaigh. As the new school was co-educational, the Girls' and Boys' Schools also became co-ed with the 1979 intake. Leixlip Girls' School became Scoil Mhuire, Leixlip Boys' School became Scoil Bhride and the new school was Scoil Eoin Phóil. 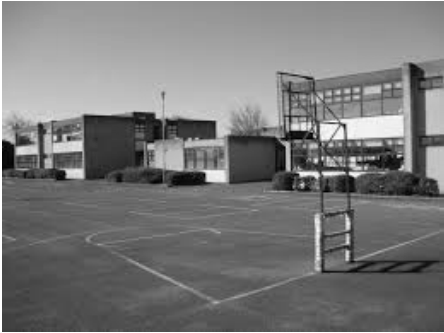 In 1984 Scoil Eoin Phóil was replaced by a new building located on Green Lane in the same campus as Scoil Mhuire and Scoil Bhride. As there were three schools located on the same campus, a common enrolment system for enrolment of children was established. The system has operated successfully ever since. Mrs. Christine Mc Gillicuddy was the Principal from 1975 to 2010. Ms. Noreen O’ Sullivan was the Principal from 2010 to 2015. The current principal is Mrs. Nora Mescal.